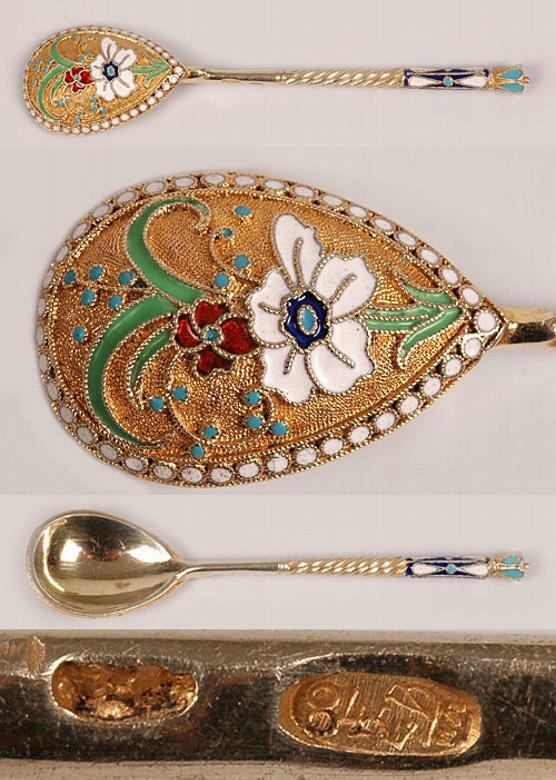 Russian gilded silver and enamel spoon by Vasilly Agafonov, Moscow, 1896-1908. The bowl is enameled with a white and a transparent red flower with green enamel foliage against a gilded stippled ground and surrounded by a row of white enamel pellets. Length: 4".